He started this stall to fund his university education as he has run out of savings to pay for his school fees after the first year. He came from a family of five and their total income is just enough to support the daily expenses. His mother, 47, is a housewife and his father, 51, is a technician. He has eaten his mother's Thunder Tea Rice and his grandmother's Hakka Yong Tau Foo since young. He started helping his mother to prepare meals since his primary school days. He picked up the kitchen skills and eventually learned to cook these dishes by himself. He cooked these dishes for friends that he met and also for those that offered accommodation to him when he went traveling for 5 months. 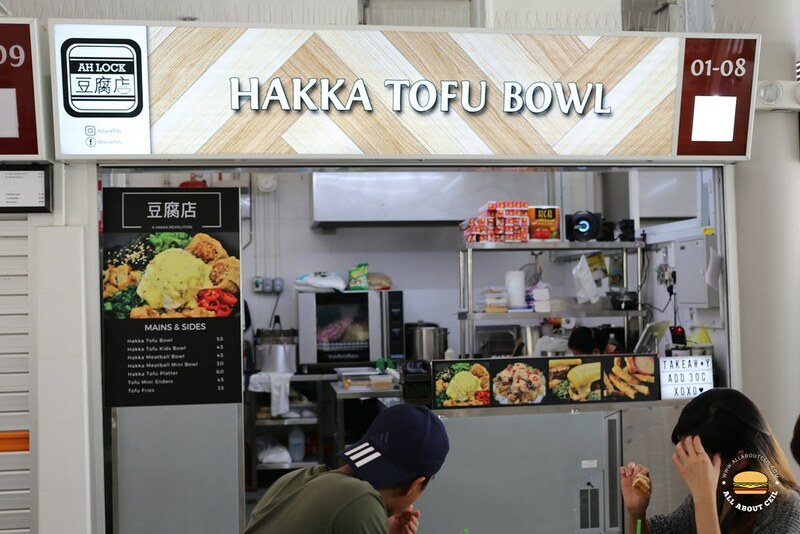 His stall is serving Hakka Yong Tau Foo using the family decades' old recipes that passed down from his mother and grandmother. 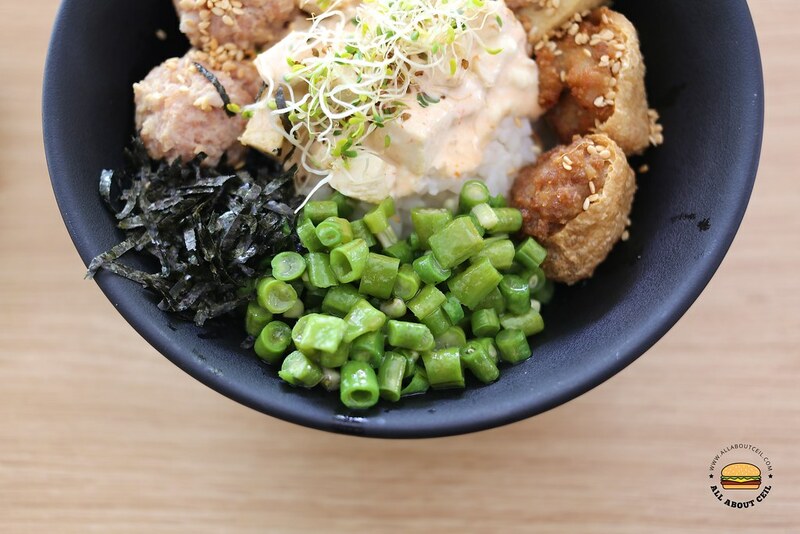 He twisted the recipe a little, he is serving Hakka Yong Tau Foo and Thunder Tea Rice in the concept of Japanese donburi (rice bowl). 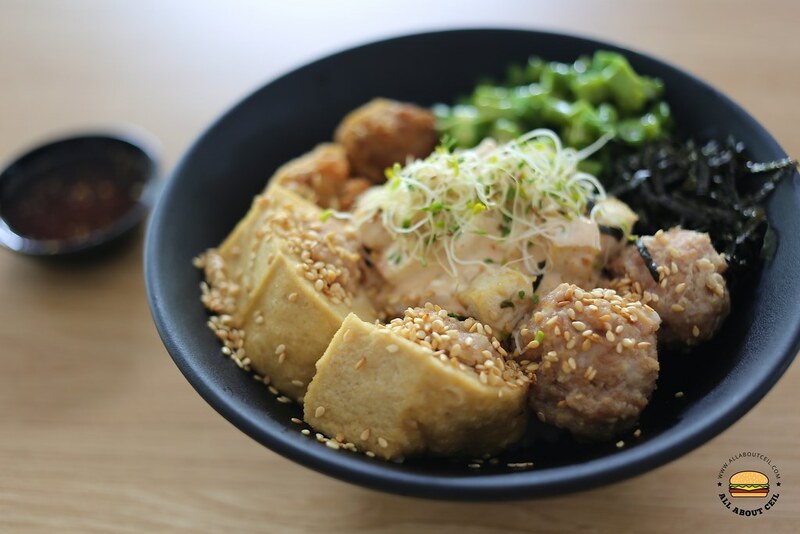 He wants to present the "old-fashioned" Hakka food in a modern way to create awareness amongst the young people. It takes about 5 to 7 hours each day in cutting and scooping out the tofu then stuffing it, it has to be done carefully to prevent the tofu from falling apart. His elder brother, Lock Phon, 25, will helm the stall after 6 months when he starts to attend classes. He is determined to strike a balance between school work and cooking.They will continue running this stall if the response is good. He will also convert to taking part-time night classes at NTU and he intends to give himself about 4 to 5 years to complete the course. 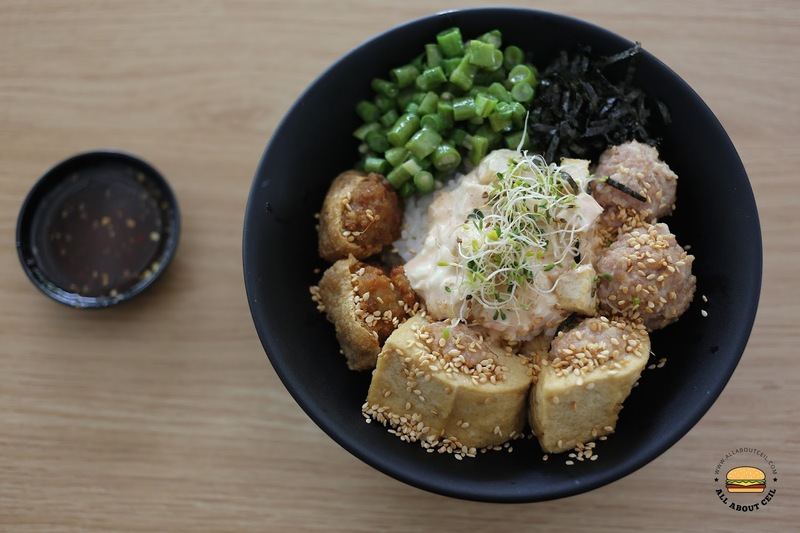 If i do go back, I will go for their Tofu Rice Bowl again and will add $1 for extra meatballs.